Such a class act. 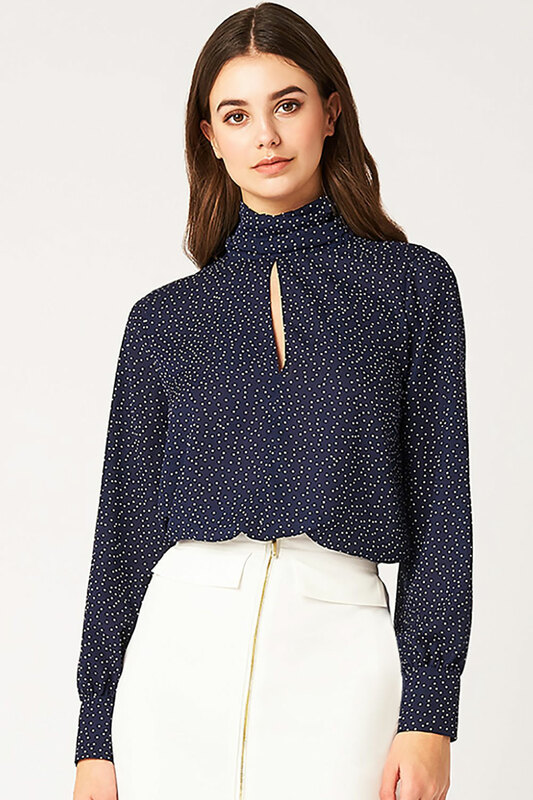 The Vesper Dee top has a lovely high neck and features a sophisticated spotty print in navy and white. A lovely fit this top will skim over your body. Team with skinny jeans or tuck into a skirt for a stylish look. Ideal for wearing for a smart occasion.